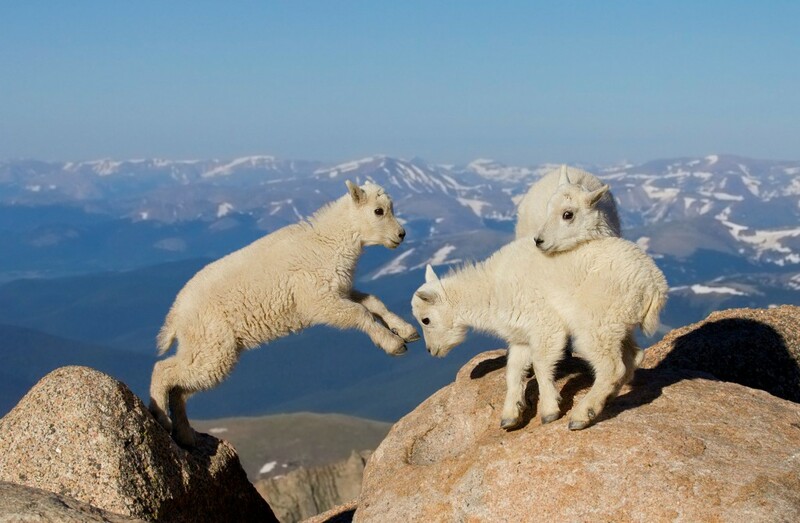 After you scale the GMAT-mountain, these cute little mountain goats will be waiting at the top! The holidays are over, so put down that eggnog and start thinking about how to make your 2015 great. That’s right; it’s time for a New Year’s resolution! As a private GMAT tutor in Boston and New York, I have a fitting mantra for those of you considering the possibility of business school: Just sign up. In the road to graduate school, the GMAT is usually the first obstacle to overcome. I have seen many people put this off over and over until they eventually sign up (at the very last minute) and struggle to cram in enough hours of preparation. Instead of taking this often-traveled path, think about signing up for the exam early. Since the GMAT is only the first of many hurdles, it is absolutely crucial to begin early. When you sign up early, you can select an earlier test date and subsequently spend more time on other, equally important parts of the application. This gives you a jumpstart, and will make the application process feel more real. In the process of scaling a mountain, signing up for the GMAT is like putting on your hiking gear. Don’t you feel more athletic already? It is difficult to convince yourself to study for a test on an arbitrary future date. It’s easy to think of the application deadline as a proxy for the last day to take the GMAT. This mentality, however, is very, very dangerous. You could decide not to study very often or to postpone other parts of the application before the GMAT is done. Signing up early gives you a tangible deadline, and allows you to design an appropriate study schedule over the weeks or months before the exam, and request GMAT coaching, if you find that you need it. While the GMAT is only the first step, this initial signup sends a signal to potential schools that you are serious about applying. They use this signal as an opportunity to send you (sometimes overwhelming amounts of) information about their academics, clubs, or scholarships. You’ll find out about new programs, and get on the radar of some of your top choice schools. The end of the holidays are hard enough already – it marks the end of vacation from work, the end of clients who take a month off from caring about deadlines, and the end of a month of gluttony before promising to get back into shape. But as hard as it is, don’t let the carefree holiday mentality stop you from making 2015 a year to achieve your goals. Instead, think about where you want to be, how you can get there, and take a step in that direction. If your plan includes the GMAT, then make this your resolution: Just sign up. Check out more of our blog posts for tips and strategies on preparing for the GMAT. GMAT Tutors at Cambridge Coaching (such as myself) are eager to help you make your study time as efficient as possible, so do reach out! We offer in-person, private GMAT tutoring in Boston and New York, and online GMAT coaching anywhere around the world.